This example shows how to generate HDL code from MATLAB® design implementing an bisection algorithm to calculate the square root of a number in fixed point notation. 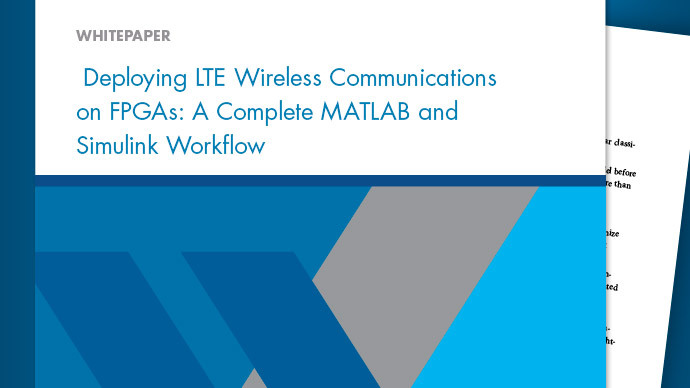 Same implementation, originally using n-multipliers in HDL code, for wordlength n, under sharing and streaming optimizations, can generate HDL code with only 1 multiplier demonstrating the power of MATLAB® HDL Coder optimizations. The design of the square-root algorithm shows the pipelining concepts to achieve a fast clock rate in resulting RTL design. Since this design is already in fixed point, you don't need to run fixed-point conversion. 7     % point numbers (also why you don't need to run fixed-point conversion for this design). 8     % The demo illustrates the usage of a pipelined implementation for numerical algorithms. 15    % Ref. 1. R. W. Hamming, "Numerical Methods for Scientists and Engineers," 2nd, Ed, pp 67-69. ISBN-13: 978-0486652412. 16    %      2. 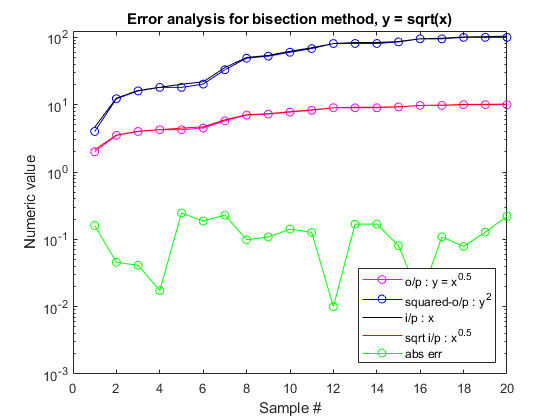 Bisection method, http://en.wikipedia.org/wiki/Bisection_method, (accessed 02/18/13). 19    %   Copyright 2013-2015 The MathWorks, Inc.
34       % for analysis purposes you can calculate the error between the fixed-point bisection routine and the floating point result. 59    % a binary search-fashion. Next, add the file 'mlhdlc_sqrt.m' to the project as the MATLAB Function and 'mlhdlc_sqrt_tb.m' as the MATLAB Test Bench. This design is already in fixed point and suitable for HDL code generation. It is not desirable to run floating point to fixed point advisor on this design. Under 'Optimizations' tab in 'RAM Mapping' box uncheck 'MAP persistent variables to RAMs'. We don't want the pipeline to be inferred as a RAM. Optionally you may want to choose, under 'Optimizations' tab, 'Area Optimizations' and set 'Resource sharing factor' equal to wordlength (10 here), select 'Stream Loops' under the 'Loop Optimizations' tab. Also don't forget to check 'Distributed Pipelining' when you enable the optimizations. Run the logic synthesis step with the following default options if you have ISE installed on your machine. In the synthesis report, note the clock frequency reported by the synthesis tool without any optimization options enabled. Typically timing performance of this design using Xilinx ISE synthesis tool for the 'Virtex7' chip family, device 'xc7v285t', speed grade -3, to be around 229MHz, and a maximum combinatorial path delay: 0.406ns. Optimizations for this design (loop streaming and multiplier sharing) work to reduce resource usage, with a moderate trade-off on timing. For the particular word-length size in test bench you will see a reduction of n multipliers to 1.